Magic in the story portrayed as if it is part of everyday life. Gawain battles dragons and wolves and we as readers quickly forget that only one of those creatures is real. Green Knight is the main magical being. He loses his head, picks it up and expects Gawain to keep his word. Playing the beheading game must be a lot less scary if you know you cannot be killed. The people in the room, even though they are shocked at first, assume it is magic and witchcraft. Later in the story, Merlin and his magical powers are introduced just as nonchalantly as all the other magical powers throughout the story. In a way, this poem reminds me of contemporary magical realism literature in which magic is just part of everyday life and no one pays much attention to it. Anonymous. Sir Gawain and the Green Knight. Translated by Bernard O’Donoghue. New York: Penguin Books, 2007. 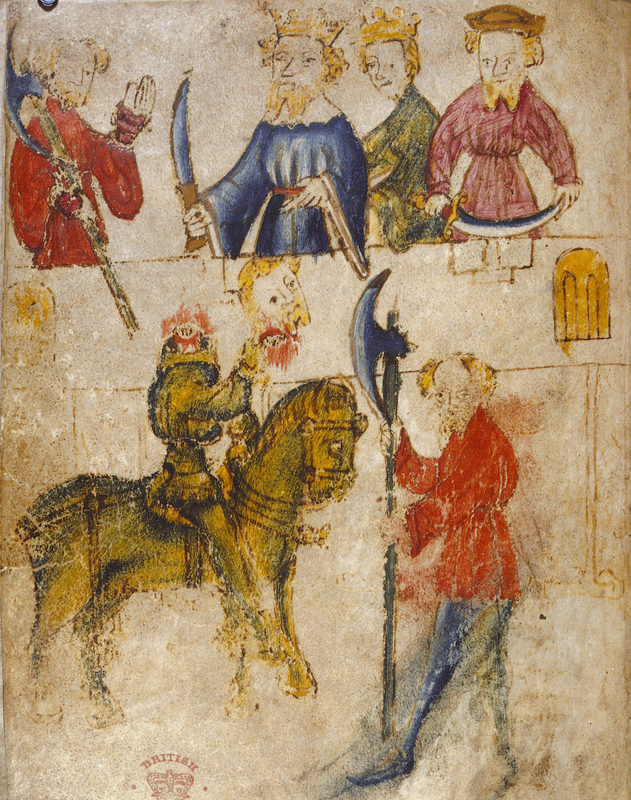 In Sir Gawain and the Green Knight, honor and chivalry are somewhat related concepts. Chivalry appears to be something of a social, public concept while honor is something of a private and personal concept. 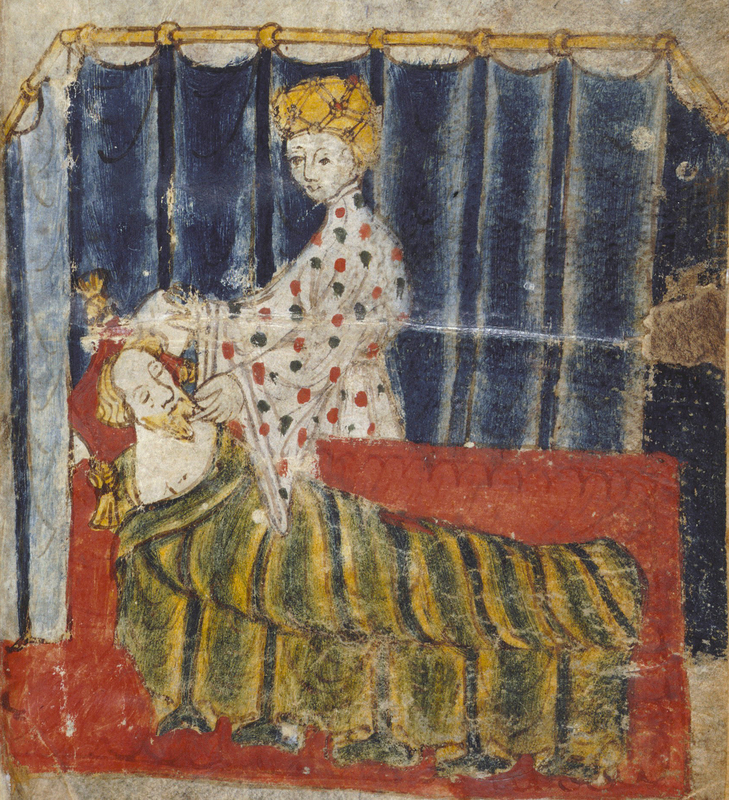 Gawain is bound both by social and private pressures. Social pressures and customs require him to maintain the esteem of King Arthur’s court and therefore keep his word and act in a chivalrous manner while he travels. Private pressures require him to keep his word and act in a polite, valiant, and honorable manner to maintain his personal honor. 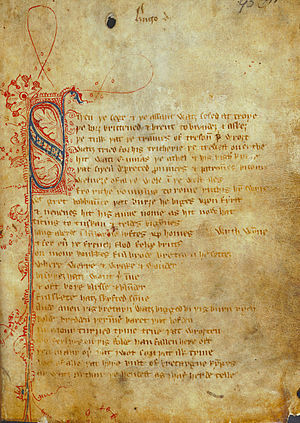 Gawain’s honor is tested right from the beginning of the poem. He gives his word in the beheading game and intends to keep it even though it is obvious that the Green Knight tricked him (he did not die when Gawain beheaded him). Gawain continues to keep his word even though his journey is lonely and dangerous. “He [Gawain] rode far from friends, a forsaken man, scaling many cliffs in country unknown” and “had death struggles with dragons, did battles with wolves” (48). His persistence is an illustration of his honor. The story Sir Gawain and the Green Knight, spans a year. It appears to be a relatively odd time period. Instead of containing a number of the past events over many years, the poem itself contains something of a preamble and the main story. The events that take place in the preamble consist of the beheading game and the promise that Gawain makes to go to the Green Chapel. After the preamble, the main crux of the story takes place a year later, during Gawain’s journey to the Green Chapel. This time that divides Gawain and the Green Knight’s two meetings appears to be unusual in length for a medieval story. However, if the story is understood as something of a Christmas story then the year appears to be less unusual. In other words, a year has to pass in order for the later events in the story to take place around Christmas. Gawain travels to the Chapel passing through seasons, and these seasons are representative of a year of life on earth. The changing seasons also change Gawain’s outlook on the world. At first, he is happy to participate in the games, but throughout the year his mood changes with the seasons. Thus the days and months that he waits, take a toll on his demeanor and approach to his endeavor. In Sir Gawain and the Green Knight, Sir Gawain’s “good faith,” meaning his ability to be a good Christian, is put on trial and tested throughout the story (14). Gawain is a member of King Arthur’s Court and as a member of the House of Arthur. His adventure can be seen as one of a test of his Christianity in the supernatural or unchristian world. The House of Arthur is “the aristocratic castle dwelling community which was conventionally thought to uphold all good order and virtue against the disorder threatening from outside” (15). As a result, within the walls of that society people live virtuous Christian lives. However, outside the walls of the House of Arthur, people are tested and attacked by unchristian “malevolent supernatural forces” like the Green Knight (15). After giving the Green Knight his word in the beheading game, Gawain ventures out looking for the Green Chapel. 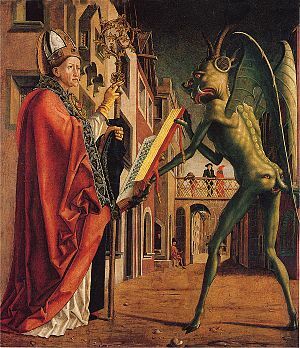 This venturing out into the pagan world of the supernatural can be viewed as a test of his faith and his ability to maintain Christianity. In Sir Gawain and the Green Knight, feast traditions seem to be just as important as they were in Beowulf. King Arthur, the most important figure in the room, is introduced first: “Erect stood the strong King” (25). The rest of the people at the table are introduced, according to importance, “Good Gawain was placed at Guinevere’s side, both the King’s sister’s sons, staunchest of knights…” (25). Furthermore, “When they’d dressed for dinner they took their places, the nobler the higher, in proper degree” (25). People at the celebration are introduced in hierarchical order, according to their position in society. As a result, feast traditions act to reinforce social customs that exist throughout society. What is also interesting about the descriptions of the feast is the lack of descriptions of the individuals and the focus on the descriptions of food and customs. “The first course came in with such cracking of trumpets” (25). “Then delicacies and dainties were delivered to the guests, fresh food in foison, such freight of full dishes” (25). In Sir Gawain and the Green Knight, the Green Knight is the antagonist who is representative of primitive religious thinking or paganism. He has some of the “pagan attributes of stock figures from primitive folklore” (14). In particular, he is described as a green and hairy giant and a supernatural being. For example, he is “green and huge grain, mettlesome in might” (27). Furthermore, “the hair of his head was the same hue as the source, and floated finely… And a great bushy beard on his breast flowing down, with heavy hair hanging from his head… The main of that mighty horse, much like the beard, well crisped and combed” (27 – 28). Finally, the Green Knight’s supernatural-ness is confirmed when Gawain chops off his head and the Green Knight does not die. “He settled himself in the saddle as steadily as if nothing had happened to him, though he had no head. He twisted his trunk about, that gruesome body that bled” (37). These descriptions make him a “common creature of popular mythology, the wild man of the woods” (116). 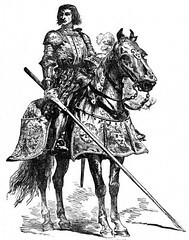 In contrast to this antagonist, Sir Gawain is therefore a Christian knight whose “good faith” is put on trial and tested throughout the story (14).